"Perfection guaranteed! An interior designer is only as good as the support team associated with him or her. This is why I insist on using Carolina Custom Draperies. Sylvia Marvelli and her staff of talented artisans can always be counted on for quality, timeliness and complete professionalism. Sylvia’s knowledge of textiles and the engineering process of fabrications is a tremendous assistance in achieving the ultimate style for one’s clients. When designing a Palace for a Royal Family of Riyadh, Kingdom of Saudi Arabia, I immediately called upon Sylvia and her staff to accomplish the necessary fabrications. As expected, the results were truly "fit for a king". I am proud to have Carolina Custom Draperies as a member of my team!" "Carolina Custom Draperies is a small, yet efficient workroom well located for serving the Triad. Owned and operated by Sylvia Marvelli since 1976, this company works closely with the trade to insure the fulfillment of each designer's vision. Sylvia has a keen eye for detail and has surrounded herself with competent staff to produce fine drapery and bedding. Through years of experience and commitment to her work, her clients can be assured of consistent quality and timely delivery on each project. We have greatly appreciated Sylvia’s dedication throughout the years and look forward to working with her for many more." "Carolina Custom Draperies is more than a custom workroom. Sylvia Marvelli and her team represent a group of crafts people who consistently produce beautiful, tailored window treatments. From homes in Raleigh to Charlotte to Atlanta, I know I can rely on Sylvia to take my sketches and turn them into even more than the homeowners can envision. With Carolina Custom Draperies, I have complete confidence in not only their artistry, but their expert advice and professional business work ethic." "Since I specialize in custom window treatments, it's essential that I be able to interface closely with a workroom. Sylvia and her staff at Carolina Custom Draperies are terrific to work with, allowing me to come in at all phases of fabrication to see how things are going. And there is a great deal of collaboration with them even before I make my final proposal to the client so there have never been any surprises. I consider Carolina Custom Draperies to be a partner in my design business." 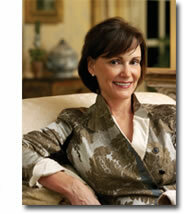 "Marcia Gottlieb Interiors has used Carolina Custom Draperies exclusively for seventeen years. Under Sylvia Marvelli’s supervision, the workroom has fabricated draperies, valances, and cornices, shades, dust ruffles, unquilted coverlets, pillows, upholstered headboards and all manner of specialty items. We have done well together producing excellent work in a timely and professional manner. Their work has been featured in magazines and received excellent reviews and client satisfaction." "I have used Carolina Custom Drapery workroom for the past 20 years and have found them to be a skillful and quality workroom creating for my clients exceptionally beautiful window treatments. Sylvia is a pleasure to consult with about difficult and demanding installations. They always meet their completion dates."